Ships tomorrow if you order in the next 16 hours 35 minutes. This all-natural skin balm helps soothe and protect sensitive skin with shea butter, coconut oil, almond oil and beeswax. It's free of artificial fragrance, parabens or petroleum products. What we put on the skin is absorbed by the body, so it should be as free of chemicals as possible. 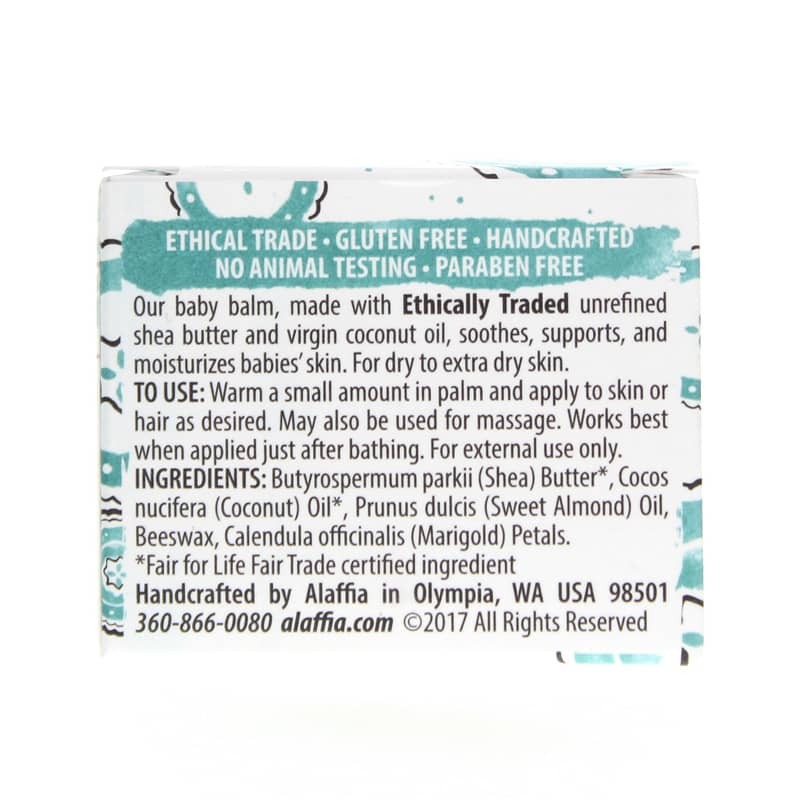 The shea butter in this balm is certified fair trade and handcrafted. 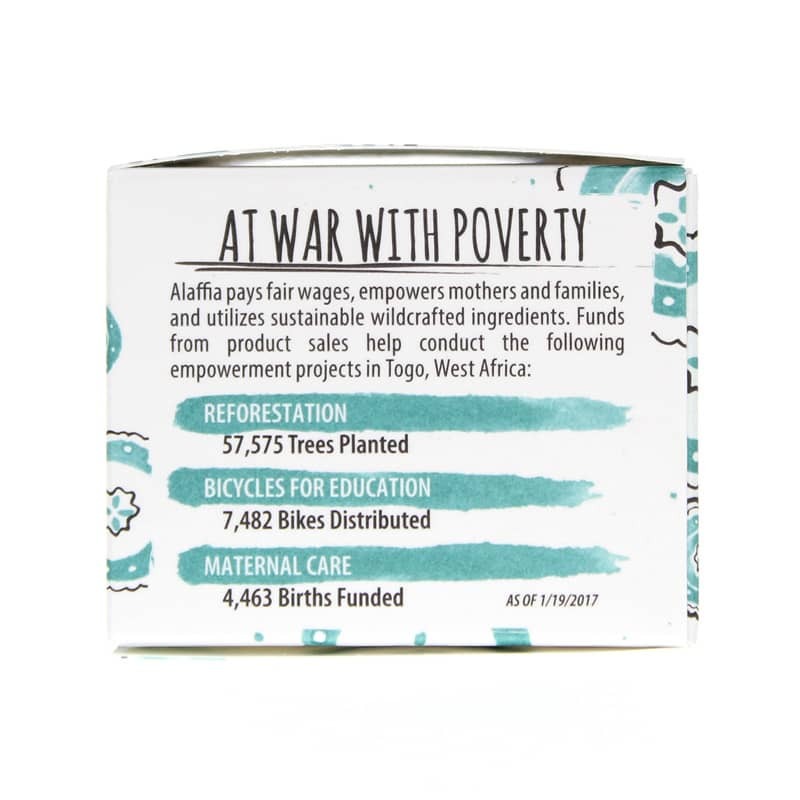 The workers in the West African (Togo) cooperative receive fair wages & benefits and the shea butter is unrefined and processed without toxic solvents. This gently soothing but powerfully protective balm is suitable for babies and adults alike. Beeswax - helps retain moisture and protect skin. May offer anti-inflammatory and anti-bacterial protection and aid wound-repair. If your baby is fussy from irritated skin you want them to feel better fast, without having to worry about chemicals or noxious scents. This baby balm helps calm and protect your baby's delicate skin and can also be used by adults for everything from stretch marks to chapped hands. Order today for gentle, all-natural relief for the whole family. 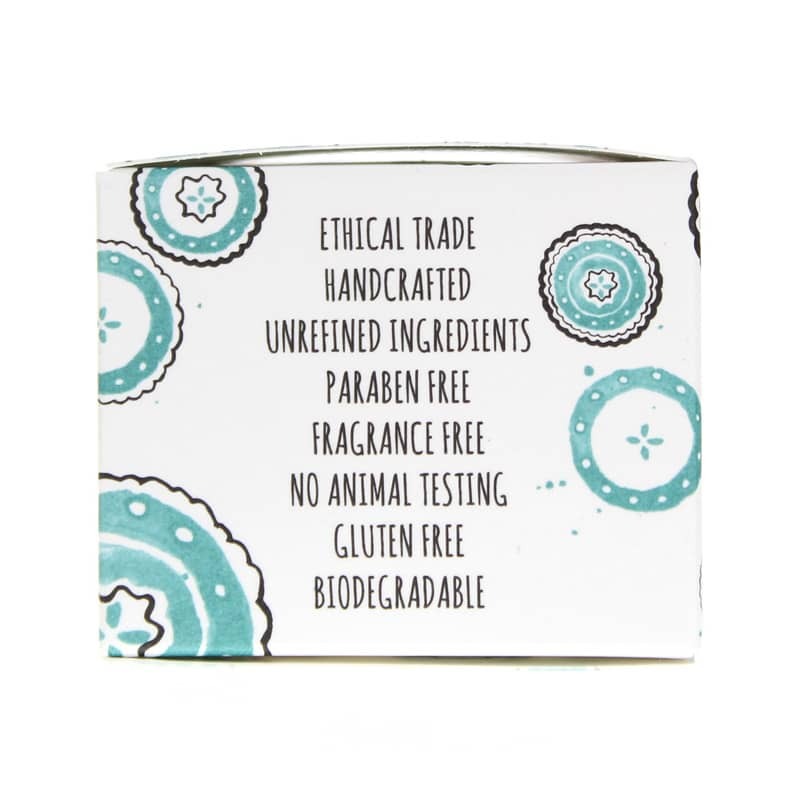 Contains NO: gluten, GMOs, parabens, unfined ingredients. To use, warm a small amount in palm and apply to skin or hair as desired. May also be used for massage. Works best when applied just after bathing. This balm seems to heal up any redness very quickly and keeps skin feeling moist and protected. The scent is a little unpleasant, but any oils to add a scent might be irritating. Would buy again and recommend.